Vaper's quest for tastes: what's the difference between various e-liquids? E-cigarettes are best enjoyed once you have found the most pleasant and suitable tastes for yourself. It is not easy, but it's worth the effort. There are hundreds of tastes available - theoretically an endless array. There are tens of tobacco variations alone, plus berries and fruits, and combined tastes as you can mix the liquids to your own taste. For example, I like to add a hint of sour pineapple to the banana. It is difficult to recommend tastes as everyone enjoys a different taste. Further, the e-liquids of various producers taste different even though the bottle displays the same kind of strawberry or other fruit or ingredient on which the taste is based. Furthermore, the liquids of various brands feature different compositions which lead to differences in the vaping experience. And finally, even if you have found your favourites, the situation and your own mood largely dictate what you want to vape at that particular moment. And since people are always looking for something new, the quest for tastes is endless. Hence, it could take quite a while before you manage to find the right tastes for yourself. If you take finding the right taste lightly, it could give you the feeling of resentment which in the worst case scenario would lead you back to smoking regular cigarettes. To our current knowledge, this would be a step towards serious health damage. The quest and decision-making become easier if you limit your search to the best only. Without a doubt, Nicorex is a premium brand in Estonia whose liquids can be trusted for a few simple reasons which I'll try to explain below. Above all, it's about the composition of e-liquids, the effect of substances, and last but not least the tastes. Every e-cigarette user should be aware of the contents of the inhaled e-liquid. You can not be sure about the contents of many cheap liquids manufactured in China because the main goal is to produce as cheaply as possible. The quality of the components of these liquids is dubious. The Nicorex team, on the other hand, personally visited the factory in China and spent days in the lab to develop the best e-liquids. This means that Nicorex liquids are manufactured on the basis of special recipes. Their composition is determined precisely with laboratory analysis. 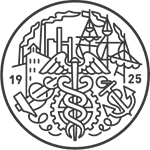 Nicorex is the only one in Estonia who has essential oils added to its liquids to moisten the oral mucosa and avoid dryness. Other companies don't use such additives - it increases the cost price of the liquid. Further, Nicorex's liquids are free from ethanol contained in many of the liquids produced in China. Ethanol intensifies the scratchy throat feeling which is unpleasant for many. Normally, the main components of e-liquids include vegetable glycerine or glycerol (common abbreviation in English: VG), propylene glycol (PG), water and flavours. 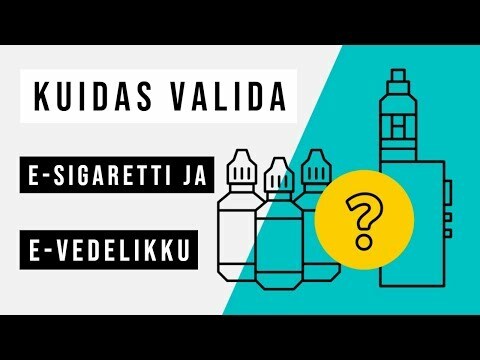 Of course, liquids with nicotine contain nicotine too. Normally, concentrations below 8mg are considered mild, 8 to 12mg medium, and over 12mg strong. The liquid is based on PG or VG to keep the nicotine and the flavours balanced allowing you to puff smoke-like vapour clouds using your e-cigarette. Both PG and VG are organic substances. Liquids based on propylene glycol (PG) are more common across the world because PG is relatively liquid and is better absorbed by the wick of the atomizer. Besides, compared to VG, the build-up of solid substance on the coil is slower. PG is almost tasteless and odourless and has little effect on the taste of the e-liquid. It is used as a humectant in the food industry. If consumed consistently, it causes a feeling of scratchy and dry throat as opposed to regular cigarettes, but it is also a strong moisturiser. However, it could induce an allergic reaction in some individuals. The US Food and Drug Administration has declared this substance to be generally harmless. Liquids based on vegetable glycerine (VG) have their advantages. VG is widely used in foodstuffs and beverages as a humectant, solvent, filler, sweeter, food additive, etc. Owing to its moisturising properties it is used also in the pharmaceutical and personal care applications. It has a slightly sweet taste which makes liquids based on VG sweeter. Therefore, bringing out other tastes is more complicated but possible. As VG has a higher density than PG, it generates much more vapour when vaping but causes no dryness or scratchiness of the throat. It rarely induces any allergic reactions. Often, e-liquid manufacturers mix their liquids from VG and PG using their own recipes. In Nicorex liquids, the ratio between glycerine and propylene glycol has been adjusted. 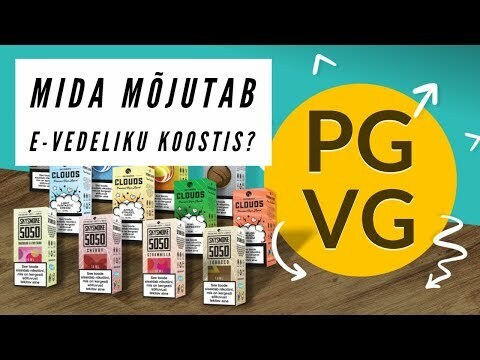 The recipe developed by the company's specialists provides for approximately 35% of VG and 45% of PG which means more vapour and softness and less scratchiness compared to the average liquid marketed in Estonia. Many original mass-produced liquids from Chinese or European manufacturers generate less vapour and scratch more. Furthermore, the amount of flavours has been changed so that their concentrations would be just right - not too much and not too little. Some liquids contain different concentrations of flavours, plus the ratio between flavours has been adjusted to obtain the optimal result. A little bit of distilled water has been added because it is necessary in e-liquids and good for the lungs. However, they contain less water than most liquids produced in Europe because excessive amounts of distilled water make the mixture too liquid and in some atomisers it begins to run excessively and causes slurping. It took a long time for Nicorex to achieve the right ratios but the result is very good according to my experience. It depends somewhat on the atomiser too because the liquid is supposed to function well with certain atomiser types. The first e-liquids created years ago suited the old type atomisers. However, atomisers have evolved over the years. Because the large producers did not change the composition of liquids, their liquids simply became obsolete. However, the Nicorex team renewed the composition. BANANA: rich, flavorful, and delightfully sweet, our Banana e- Liquid is a perfect blend for any banana lover. Smooth banana flavour will get your taste buds tingling. MOJITO: the refreshing cocktail with fresh muddled mint, rum, a splash of sparkling water and sugar is brought to one cohesive juice form. It is citrusy, minty, sweet and refreshing all in one. Very suitable for everyday-vape.